Supporting the responsible use of Liquor & Cannabis products territory-wide. The Nunavut Liquor and Cannabis Commission (NULC) is a public agency that sells and distributes alcoholic beverages and cannabis products in Nunavut. The NULC operates from within the Government of Nunavut (GN) Department of Finance, with operations in Rankin Inlet and Iqaluit. The NULC funds its retail operations using a special revolving fund, separate from the rest of the GN. At the end of each fiscal year the NULC transfers its profits back to the GN. In this way, the NULC uses its excess revenues to support wider public priorities. Each year, the NULC publishes audited financial statements as part of a wider report. The Minister of Finance tables these statements and report each fall in Nunavut’s Legislative Assembly. The NULC works towards meeting the GN’s responsibilities under Article 23 of the Nunavut Agreement. We do this by following the GN’s wider hiring protocols, applying priority hiring policies to unrestricted competitions. The NULC supports the use of Nunavut’s official languages. In particular, our retail team includes bilingual agents, both in store and on the phone, to take community orders. We also require our Agents to offer their core services in the language of your choice. The NULC respects customer privacy, and operates within applicable legislation, particularly the GN’s Access to Information and Protection of Privacy Act, the Liquor Act, and the Cannabis Act. Although we collect this data the NULC does not share customer-specific information with outside entities unless required by law. The NULC occasionally shares high-level information (e.g. grouped data that is not customer specific) about its operations with the GN to support financial reporting, health promotion, policy development and other such activities. Nunavut’s Minister of Finance is the Hon. George Hickes. The NULC is a public agency that exists by authority of the Minister responsible for Liquor and Cannabis, the Minister of Finance. George Hickes was first elected in the general election held on October 28, 2013, to represent the constituency of Iqaluit-Tasiluk in the 4th Legislative Assembly of Nunavut. He was re-elected to the 5th Legislative Assembly of Nunavut on October 30, 2017. On June 14, 2018, Mr. Hickes assumed the role of Minister of Finance. This role was expanded to include the role of Minister of Health and Minister responsible for Suicide Prevention on August 20, 2018. In November 2015, he was named Minister responsible for the Nunavut Housing Corporation and Minister responsible for the Qulliq Energy Corporation. In June 2016 he became the Minister of Health and Minister responsible for Suicide Prevention. 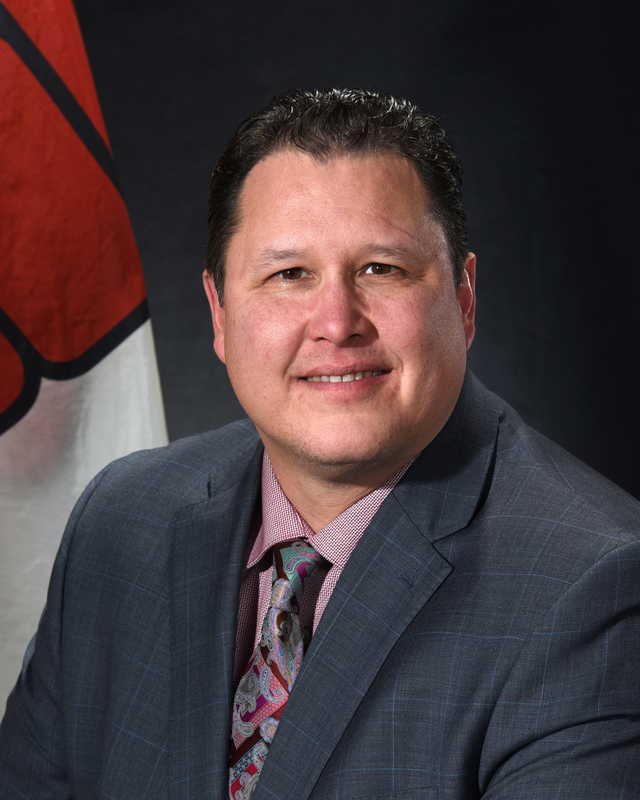 Prior to his election, Mr. Hickes held senior positions in the Government of Nunavut’s Department of Economic Development and Transportation, Department of Education and Qulliq Energy Corporation. Mr. Hickes also served as Executive Assistant to the Minister of Education. His background in finance, policy and government has led to a well-rounded ability to assist his constituents in Iqaluit and the people of Nunavut. Mr. Hickes was born in Churchill, Manitoba, and attended Red River College in Winnipeg. Prior to making Iqaluit his home in 2004, Mr. Hickes worked in the banking industry and owned his own small manufacturing business in Thompson, MB. Mr. Hickes has been a volunteer firefighter, a member of the Canadian Rangers and a youth hockey coach. George and his spouse, Signi, have three children: Hope, Lily (Piungwasluq) and Sara (Putuguq). Mr. Hickes’s personal interest include hunting, fishing and golfing.